MACK, 2014. 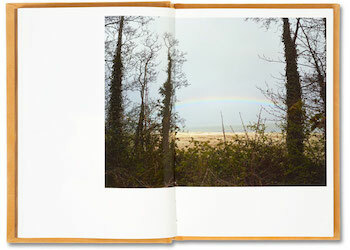 96 pp., 31 color illustrations, 5¼x7½". 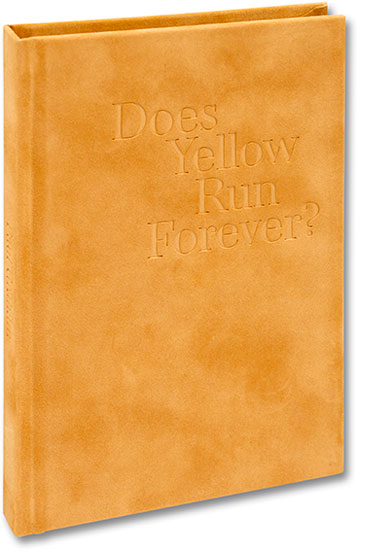 Paul Graham’s Does Yellow Run Forever? comprises a series of photographs touching upon the ephemeral question of what we seek and value in life – love, wealth, beauty, clear-eyed reality or an inner dream world? Does Yellow Run Forever? refuses to reduce the world to a knowable schema, but instead embraces the puzzle - that there are no singular meanings, direct answers, or gold waiting at the end of the rainbow. Yet, there are startling visions in the everyday, be they ‘beautiful’ or ‘ugly’, that there are dreams worth dreaming, magical scenes to be seen, and true moments of wonder to be found as we shiver the mirror of life.